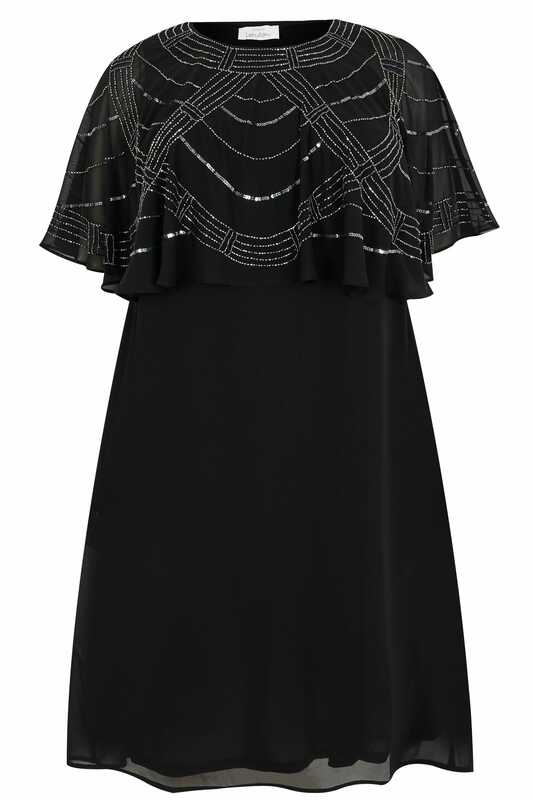 Exuding timeless elegance, this stunning dress is the perfect option for evening events. 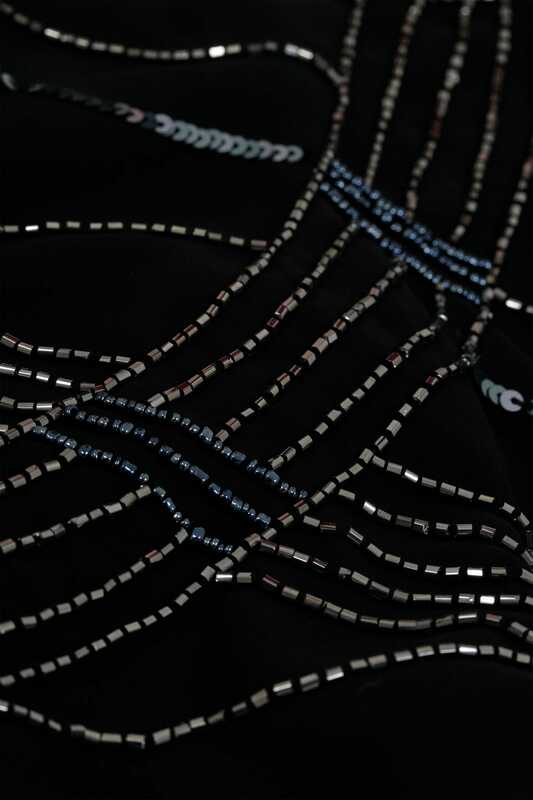 Shimmering with bead and sequin embellishments, its flattering cape style offers good arm coverage. Team with high sandals and a clutch to complete the look. 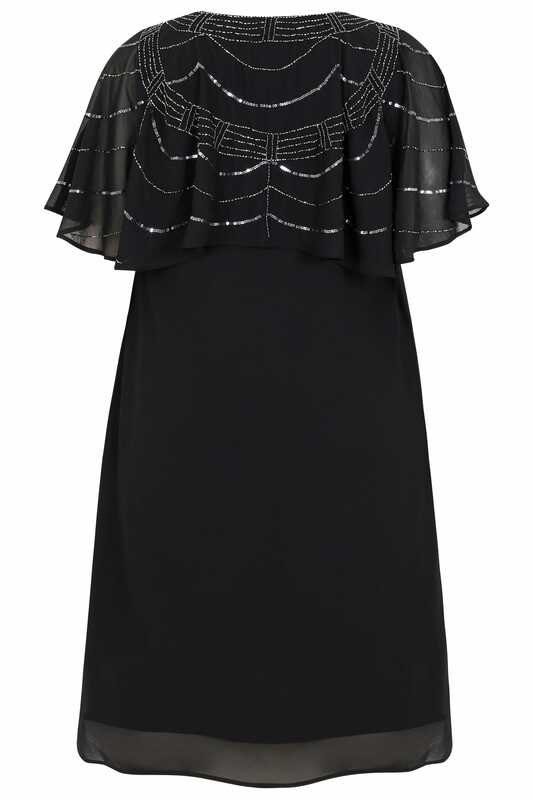 Cut to a modest midi length, we love its elegant design.